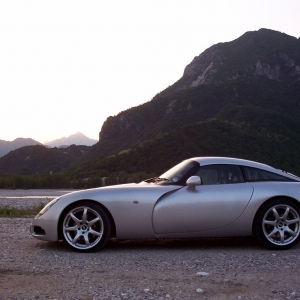 From 2002 to 2006, the independent British car manufacturer, TVR, produced the T350. 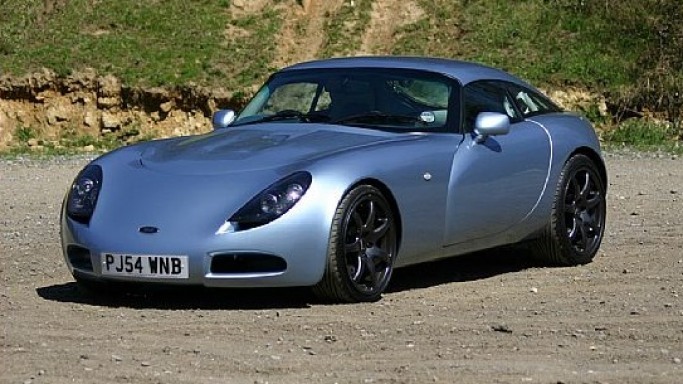 This ports car has been based on a previous model, the TVR Tamora, and arrives as a 2-door coupe car. 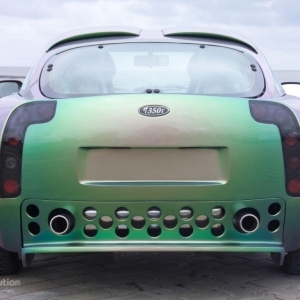 While making this car, the thought process was completely different. 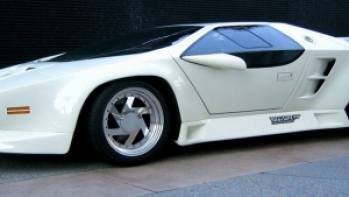 One would expect a car which costs about $30,000 to $40,000 to be a respectable one. The T350 however is nowhere near that in respectability. But when it comes to performance, one has to bow down to it! 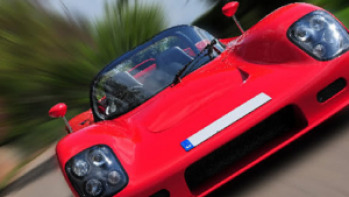 The looks of the car are breathtaking and the driving experience that it provides is akin to the thrill of doing something illegal. 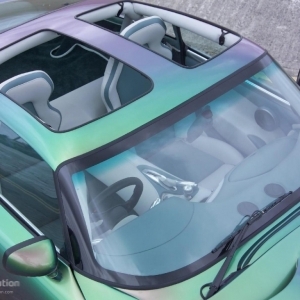 The car comes available in the roof-removable targa version as well. 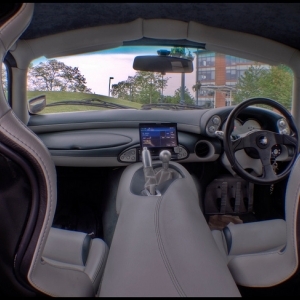 The look of the TVR T350's interiors will surely make any gazer feel comfortable and at home. 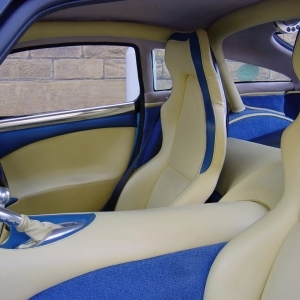 Slipping into the neatly fitting bucket seats, the comfort is soothing. 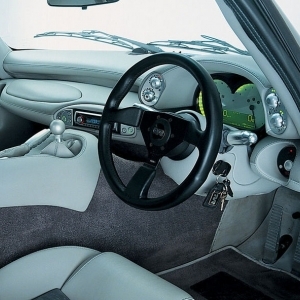 Placing the hands over the three-spoked, leather-rimmed steering wheel seems to give an ultimate sense of power. One is greeted with a pleasing visual effect that the elaborate instrument panel in the dashboard provides. 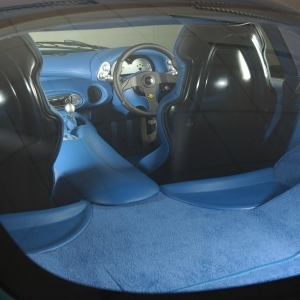 A high wall of cushioning separates the two seats and there is a small sized manual gear at the front end of this wall. Though the car comes with reasonable security equipment, it is a shocker that it does not have ABS braking! 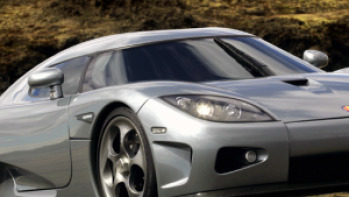 The superfast car also suffers safety hazards due to the lack of airbags. The floors are carpeted and there is a good stereo within. Air-conditioning is optional but it works pretty well. 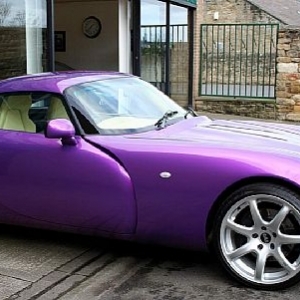 Apart from these, the car has heated, electric mirrors, electric windows, central locking and a burglar alarm. The rear-view mirror sits stylishly on the front windshield. The T350 looks like an alien car. This is not to say that it looks weird but a statement to mean that it looks 'out of the world'! An extremely elongated, shapely and curvy bonnet ending in two large headlamps makes it look like a gentle being, smiling with the awareness of power that rests within it. There is no front grille and the car simply has been rounded off. The hood opens like a lid atop the car. 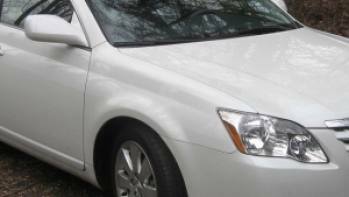 The alloy wheels are broad and add to the impression of strength. A small boot at the back is the only holding space available. The car has no bumpers and almost looks like a bean. 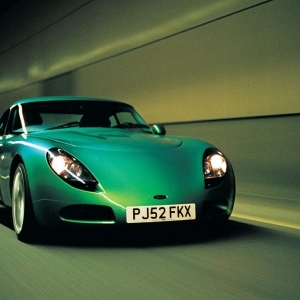 But it is this bean-appearance that lends it the performance has been the result of extensive wind-tunneling testing.